Common scorpionfly (Panorpa communis) on a leaf. 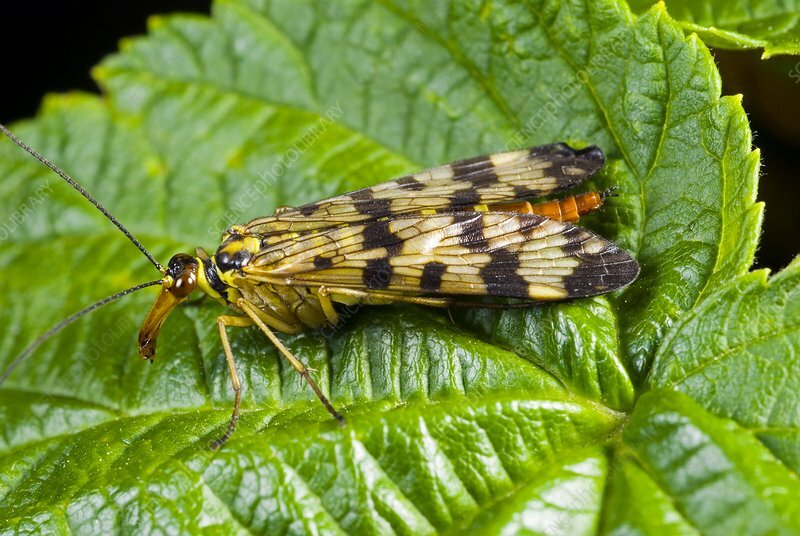 Scorpionflies are predators of other insects. This species is native to Western Europe. Photographed in Poland.